Anthony Mackie is the best choice for Falcon that the film directors could have made. I liked him right from the get-go. And, while I sympathize with the actor’s wish that his costume was more like the comic book hero’s, the thing is that he still has a neat outfit. Like his part in The Winter Soldier, Mackie’s Sam Wilson is still “doing what [Cap] does, just slower.” In this film, however, his role in Steve’s life has grown and changed somewhat from its initial parameters. How do we know this? While Natasha is the only Avenger from the previous iteration of the team to remain an active member, Sam’s position on the new team actually seems higher than hers. Natasha is acting as Cap’s second as a trainer for the “New Avengers.” On the battlefield, though, Sam Wilson is Steve’s right-hand man. During the fight in Lagos, Falcon consistently acts as Steve’s second. His close bond with the First Avenger has strengthened by this time. Where the two were casual war buddies in The Winter Soldier, they have now upgraded to trusting teammates. Sam followed Steve in Soldier. Now, in Civil War, he backs his friend up on and off the field of combat. It is not following so much as “sticking with” his close friend. It is interesting to note just how vehement is Sam’s refusal to sign or acknowledge the authority of Accords. In Civil War, Sam and Rhodey have a loud, angry argument about the Accords. Their best friends sit this part out. In comparison to their heated exchange, Steve and Tony argue far more calmly. If they had been having an on-air debate, they would have been the ones on the TV screen, not Sam and Rhodey. Wilson has shown he is a responsible, calm, and clearheaded man. He can make his own decisions and live with their results. The fact that the U.N. thinks he is a brash, swaggering teenager not only rankles his self-respect; it is a downright insult to him. “How long will it be before they LoJack us like a bunch of criminals?” he asks Rhodey pointedly after Ross’ visit. War Machine, the “model” soldier accustomed to taking orders without question, is horrified by Sam’s claims. Falcon knows that what Cap says a few minutes later is perfectly true: agendas change. And when the agendas of the people in power change, the agendas of those who serve them have to change as well – whether those people like it or not. Everyone is startled when Steve gets up and leaves after he receives a text message telling him Peggy Carter has died. When we next see him, Sam is sitting beside Steve in the church, attending Peggy’s funeral. The silent statement is that he will support Steve anytime, anywhere. No matter the crisis, he is not going to abandon his friend. It is kind of cute when he elbows Steve after noticing Sharon is the niece of the other’s now deceased girlfriend. Cap is not particularly happy to have this secret exposed so publicly, which Sharon knows. Her speech is as much an apology/explanation to Steve as it is public praise for her dearly departed aunt. But the poignant point for Sam here is that he saved Steve some minor embarrassment. Once Sharon started talking, Steve would have looked up immediately and had less time to compose himself. Sam saved him and Sharon that trouble. His quick action kept the matter discreet for all concerned. This rapport between the two makes it hard for Sam to adjust to Steve’s friendship with Bucky. Of course, part of this is the fact that Bucky has never been very nice to Sam. If my calculations are correct, he tried to kill Sam at least twice: once on the Insight Helicarrier in Soldier, and again in Germany after Zemo reactivated his programming. It is not that Sam really hates Bucky. He says, “I hate you,” later on but I do not think he truly meant it. It was just a way of blowing off steam and annoyance. No, Sam’s problem is that he is Steve’s close friend, too. Sam’s wariness of Bucky is due to the fact that he has only known him as a bad guy. He has none of Steve’s memories of the numerous times Bucky saved Cap from being worked over by a big bully in a back alley. Sam and several others fear/accuse Steve of being too blinded by his affection for Bucky to see how dangerous the former assassin is. While Steve is lenient toward Bucky, he also does not completely trust him. Their old friendship does not blind him to his friend’s ability to commit more heinous crimes. It simply means that he is not going to recoil from Bucky and treat him like a ticking time bomb. He is wary but not in a way that will reinforce his friend’s feelings of guilt and loneliness. After all, readers, Sam and Steve were in the warehouse where Bucky woke up following their escape from the German Special Forces base. And Sam did not finagle Bucky into that vise on his own! Now, Bucky knows he has thrown Sam around a fair bit in the past. At the least, he remembers their battle on the Helicarrier. So to Bucky it makes sense that Sam would distrust and dislike him. 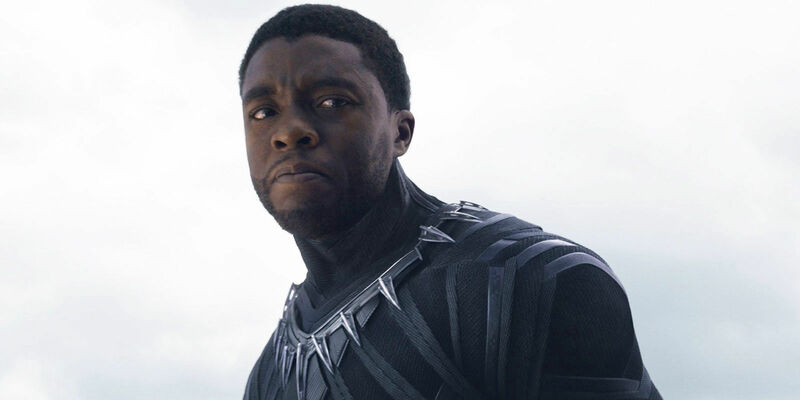 He does not really like and trust himself, either, proven when he practically asks to be put in cryostasis in Wakanda at the end of the movie. But this hardly dispels his aggravation with Sam. After all, Bucky knew Steve before Sam was even born. Sam does not know Steve nearly as well as Bucky still does. The clown car the three used as a “getaway car” is representative of the small space which they share in orbit around Steve. They are both close to him, but to get too close to each other in the process will lead to a catastrophic collision! Can one have two best friends who do not feel at least slightly jealous of each other? This question is never really settled within the film. But the scenes which show Bucky and Sam skating on the edge of shoving each other away from Cap are unbelievably fun!!!! There is also a rather big discrepancy in the smiles Sam and Bucky give Steve after he kisses Sharon. Bucky’s smile is large and awkward; mostly because he is reminded once again of how “invisible” he is compared to Steve. Sam’s smile is much smaller, more relaxed, and happy. His friend is getting more accustomed to his place in the world and is finally showing interest in someone other than those who help him with his job. Progress is slow, Sam figures, but that does not mean it is impossible. When Sam shows up again, it is in the parking garage where Hawkeye and Wanda are waiting to join the fight. Then Clint kicks a sleepy Scott Lang out of the van, and Sam gets a questioning look from Steve as the new recruit completely geeks out. Sam knows Scott does not look like much to the others, but he also does not want to explain how he knows Ant-Man can be of use to the fight. Sure, the guy is a newbie who is too enthusiastic. But Sam is NOT going to admit he got beat by a guy who can shrink to the size of an insect. It was embarrassing enough when none of the others were there to see it. If they found out, he would never hear the end of it. Unfortunately, the answer to that question is yes. 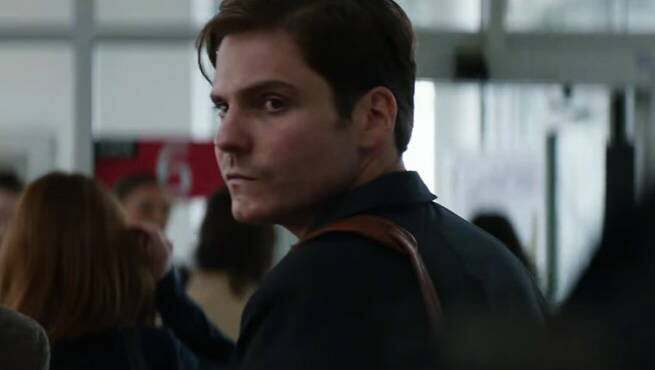 Zemo has to be stopped, and the only way to get to him is to find some aerial transportation. Clint’s chopper is out of commission, and the other planes on the tarmac are either not fast enough or they are too far away. The only viable transportation the team can get their hands on is the quinjet. And Team Iron is standing in their way. 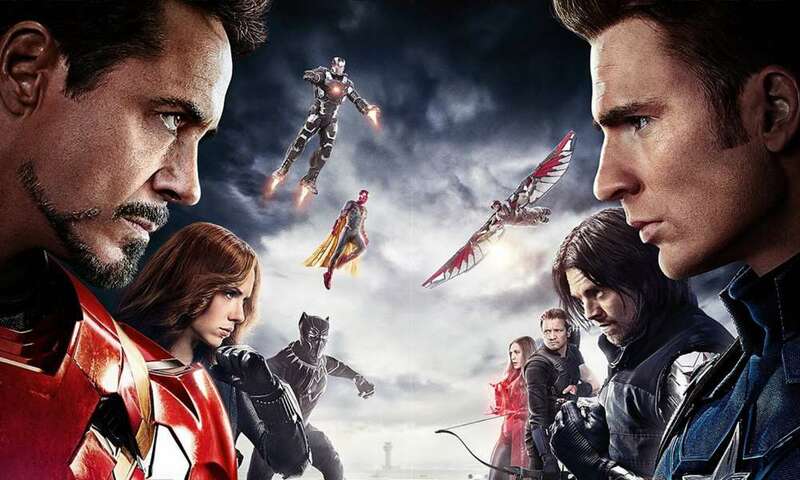 As the Avenger vs. Avenger battle progresses, it becomes clear to Sam and the others that the only way to win this fight is for Steve and Bucky to go to Siberia as a duo. They cannot all get to the quinjet; the other Avengers are too powerful and know them too well for them to simply knock them out and keep them down. Instead of reprimanding his friend, Steve accepts his sharp retort and his reading of the situation. He allows Sam to call the next play. Sam does not break a sweat as he is handed command of the four Avengers who will remain behind, telling them that what Cap and Bucky need is a distraction. Scott Lang answers the team’s need for a diversion by reversing his shrinking ability to become Giant-Man, perfectly distracting Iron Man, Spidey, and Rhodey. Clint holds T’Challa at bay, allowing Cap and Bucky to make a run for it. Sam watches as Ant-Man and Hawkeye are knocked down, followed by Wanda after she prevents a building from dropping on the two men’s heads. Once the jet takes off, Tony and Rhodey make a run for the engine. Falcon, the only operative member of Team Cap, goes after them. That is when Rhodey calls on Vision to get Falcon off his back. Vision, distracted by his concern for Wanda and his sudden doubts over the rightness of the fight, misses Sam and hits Rhodey’s arc reactor. In a telling move that shows the high-mindedness of Team Cap, Sam dives to save War Machine at the same time Tony does. Neither man is able to make the save. Their suits cannot go that fast toward the ground without getting them killed in the process. Rhodey crashes into the dirt and suffers severe spinal injuries as a result. Tony’s response, unsurprisingly, is to childishly shoot Sam in the chest via his right repulsor. Of all the Avengers in the Raft, the one Tony goes to for information about Cap’s whereabouts is Falcon. Why? Because of the incarcerated Avengers, Sam is the one closest to Steve. Of all the scenes in the movie which show Falcon as Steve’s right hand man in Civil War, this is the absolute clincher. All four members of Cap’s team knew they were supposed to go to Siberia to stop Zemo. Only Sam knew precisely where in Siberia they were going to go. Our final look at the Falcon is at the end of the movie when, for some reason, he turns around in his cell. Slowly, Sam starts to smile at someone the audience cannot see. We can guess from the mess in the rooms leading to the cells who the person is, but we get positive confirmation when Steve steps out of the shadows and smiles back at his buddy. The other Avengers, while not losing confidence in Steve, have probably begun to wonder if maybe it would be safer for him if he left them in prison. Wherever Steve chooses to go between Civil War and the Infinity War films, Sam will still be “do[ing] what he does, just slower.” The two will never be as close as Steve and Bucky are, but that does not prevent them from being strong friends. Steve has enough room in his heart for Bucky and the Avengers; no one can say he has a “heart which is two sizes too small.” It is not even one size too small. Steve cares about all of his friends. Just because he understands and connects with some better than others does not mean his affections are limited. He cares about them all equally – even those on the side of the Accords. Sam and the others will probably be “off screen” until Infinity War. If they show up in the films in between, I will not be complaining but celebrating! It would be awful to have to wait so long to see them! But, whether they appear in the intervening films or not, they are still the Avengers. This entry was posted in Marvel Comics' Characters and Stories, Movie Reviews and tagged #TeamCap, #TeamIron, Ant-Man/Scott Lang, Anthony Mackie, Avengers, Avengers: Age of Ultron, Baron Helmut Zemo, Baron Zemo, Black Panther/King T'Challa, Black Widow, Black Widow/Natasha Romanoff, Captain America, Captain America/Steve Rogers, Captain America: Civil War, Captain America: The Winter Soldier, Chadwick Boseman, Chris Evans, Daniel Bruhl, Disney movies, Don Cheadle, Elizabeth Olsen, Falcon/Sam Wilson, General Thaddeus Thunderbolt Ross, Hawkeye/Clint Barton, Iron Man/Tony Stark, James "Bucky" Barnes/Winter Soldier, Jeremy Renner, Marisa Tomei, Marvel, Marvel Cinematic Universe, Marvel Comics, Marvel Comics' Characters and Stories, Marvel fans, Marvel films, Marvel movies, Movie Reviews, Paul Bettany, Paul Rudd, Peter Parker/Spider-Man, Russia, Sam WIlson, Scarlet Witch, Scarlet Witch/Wanda Maximoff, Scarlett Johansson, Siberia, Spider-Man, The Raft, The Scarlet Witch, The Winter Soldier/Bucky Barnes, Tony Stark, Vision, War Machine/ James "Rhodey" Rhodes, Winter Soldier/Bucky Barnes on September 9, 2016 by The Mithril Guardian. Okay, I have an apology to make here. 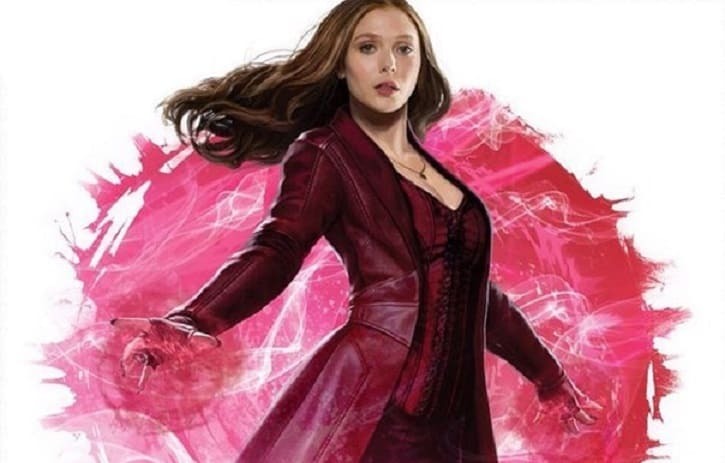 In the posts where I talked about the rumors that were circulating prior to Captain America: Civil War’s release, I rather disparaged the character of the Scarlet Witch. I was not exactly nice to some of the other characters either, and for that I also apologize. The movie did much better by its heroes than most of us thought it would. “Anger, fear, aggression – the Dark Side of the Force are they…” Obviously, I need to start practicing some Jedi calm when it comes to checking out rumors of any kind – but especially those found in the Internet mill. Anyway, without further ado, let us turn our attention to the character that we came together to discuss: Wanda Maximoff, a.k.a. 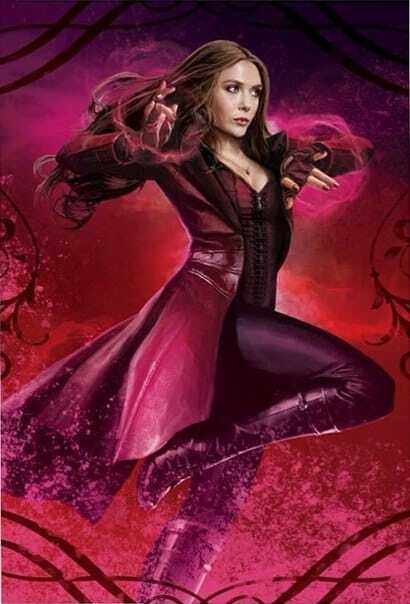 the Scarlet Witch! Natasha tartly breaks in and points out that the vehicle is cute and bulletproof. “Which means private security, which means more guns, which means more trouble for somebody, probably us,” she adds. When Wanda reminds them of her powers, the Black Widow tells her that “looking over [her] shoulder” has to become “second nature.” Sam lightens the mood by accusing Widow of being paranoid. Natasha turns the tables on him, and Steve reminds his crew that they are looking for Crossbones, not an afternoon chat. This scene is sweet because it shows Wanda’s position on the team. She is the “greenie” – the new kid on the job. Her abilities are impressive, wonderful, and fascinating. But they are no substitute for training in the arts of observation, close combat, and the other fighting disciplines “normal” people must use. To over-rely on her powers puts her at risk of harm. Another great thing about this scene is how it reinforces the relationships Wanda has with her teammates. Sam, acting in the capacity of a good friend, takes the sting off of Natasha’s brisk, motherly reprimand. Steve’s gentle questions and quiet prodding easily skid across the thin line between the positions of mentor and trusted father figure. Though Wanda’s connection to Clint is far stronger in that regard, it is impossible not to see the paternal affection with which Steve treats her. After this brief lesson in observation, Sam and Steve figure out that Crossbones’ target is not the police. It is instead something much bigger – and far more sinister. Following on Steve and Sam’s heels, Wanda arrives at the IFID building in time to help Cap get inside. Sam helps protect her back as she gets rid of the knockout gas Crossbones and his men, who were possibly HYDRA agents like himself, used to render the employees in the building unconscious. We then lose track of Wanda until Rumlow tries to blow up Cap and a city bazaar. That is when the Scarlet Witch, who has followed Steve while Sam and Natasha hunt down the bio-weapon, contains the blast with her power. In order to keep the people around them safe from the explosion, Wanda throws the flaming HYDRA agent into the sky, where he can incinerate himself and no one else. However, she throws him too close to a nearby skyscraper. Also, the bomb vest’s explosive yield is higher than anyone anticipated. Whatever explosives Rumlow used/concocted, they packed more of a bang than TNT (which rates a 1 on the explosive scale) or C4 (which rates something like a 1.4 on the same scale). So when the bomb goes off, instead of dissipating in midair as a firework display does, it blows out the middle floors of a skyscraper. The blast, which did not look terribly big in the bubble Wanda had around it, vents sudden fury into the building. At least three floors fall victim to Rumlow’s failsafe plan. Wanda watches in horror along with Steve as the explosion kills twenty-six people. Since he is the leader of the team, Cap takes point on the accident. It is easy for us to see he holds himself responsible for what happened. He leaves Wanda where she is, perhaps feeling that she does not need to get too close a look at the carnage. Even without her mental powers, she has to know that people have died in the blast. And, naturally enough, she blames herself for their deaths. Now, readers, this explosion is not entirely Wanda’s fault. Sure, she released her hold on the bomb too soon. Yes, she threw the whole concoction too close to the building. But she did not intentionally blow up three center floors of a skyscraper and kill twenty-six people. It was an accident. But the academic/journalistic complex; which in Age of Ultron would have supported and empathized with Wanda when she was an activist/HYDRA “secret weapon,” is not inclined to cut her the slightest bit of slack now. No, since she is an Avenger, they lay all the blame for the mishap on her. It does not matter to them that her desire was to save lives. Nor are her youth and inexperience factors which they will take into account. All that matters is that she is outside the control of the ‘elites.’ And whatever the ‘elites’ want, their toadies in the media will bend over backwards to get for them. Except that they were not on the leash of any government on the planet. They had no one telling them, “Do not engage. This attack has to go down so we can ride the diplomatic repercussions since we will never let a crisis (especially one created by us) go to waste.” This is antithetical to the Avengers’ creed which is the belief that every life is important, and crises are to be avoided. The Avengers were there to prevent a disaster – that bio weapon would have killed millions, give or take a few extra hundred thousand, if it had been released. The Avengers stopped it from falling into the wrong hands. The people killed in Crossbones’ Viking funeral were an unfortunate loss. But their deaths were not the intent of Wanda or her teammates. Many, many more people would have died if Rumlow and his men had escaped with the pathogen. The death toll would also have been higher if Wanda had not contained the initial detonation and tossed the rest skyward. Readers, we have to keep in mind that the rest of the team is not going to throw live grenades, bombs, or explosives at Wanda and tell her, “Hold the explosion in until it loses power.” That is cruel. Doing that could kill her – or them. This was something she did in a situation which required quick action and swift thinking. Under the circumstances, Wanda did some very fast calculating. If she had not contained the initial blast, Cap and the bazaar – along with the base of the skyscraper – would have been blown to pieces. Also, given her understanding of conventional explosives, throwing Rumlow sky high should have allowed the detonation to finish in a relatively safe manner. C4 will not vent that much power, and certainly not in the direction of the skyscraper. At most, C4 would have blown out the windows and wrecked a couple of offices, probably only injuring anyone standing in those rooms. Wanda’s biggest – and only – mistake here was that she did not throw Crossbones in the proper direction. There may be a good reason why she made that mistake. Considering how expansive the explosion which hit the skyscraper was, we can guess that the initial detonation would have been much bigger if Wanda had not contained it. It is not easy to control so large an explosion for very long by normal means. Holding that sort of thing contained with her telekinetic powers would have put a serious strain on Wanda’s mind. As the explosion gained strength, it would have become more and more of an effort for her to keep it bottled up. If you pull a rubber band to a certain length, readers, it will snap back and sting your fingers. Pull it too far, and the rubber band breaks, stinging your fingers even more than it did previously. But something had to give, and her natural strength is not yet up to the task of containing such a big bang – if it ever will be. Her reasoning for throwing it into the air, far away from everyone around her, was completely sound. She cut her power when she thought it would be safe. Unfortunately, Wanda was not aware of how big the blast would become when released. And she forgot, or did not realize, that she was holding the blast too close to the skyscraper. Anyone else in Wanda’s position would be just as horrified by the resulting destruction and loss of life as she is. When we next see Wanda, one month later, she is “moping” in her room and accepting the slavering media’s verdict on what happened in Lagos. Steve comes in, shuts the TV off, and sits beside her. He knows what the media and the ‘elites’ do not even deign to consider: Wanda will never be able to forget that she threw the explosion in the wrong direction, and this led to the deaths of those twenty-six people in Lagos. She will carry that responsibility with her for the rest of her life. No one can take it from her, even if they or she wanted them to do so. It is her burden to bear – and his. As he pointed out, he is as responsible as she is. Crossbones distracted him so he would not look for the bomb vest. If he had stayed focused, he could have prevented the explosion altogether. He was sidetracked, and that cost them all – mostly the people in the building who died and Wanda, a kid he is supposed to be protecting and teaching. This is what Wanda struggles with for the first half of the film. What she has to learn here is that taking responsibility for one’s actions means mourning the mistakes, recognizing them, then picking up and moving on. “Moping” will not bring back those Crossbones killed – because it was Crossbones who pulled the pin. And if she continues to “mope,” then the next time she is needed, she may not be able to save anyone because she will not be focusing on anything but her last failure. The reason this is such a struggle for Wanda is partly because she is a young girl raised in an age that has an extreme fascination with guilt. Also, youths tend to magnify their problems – even when they think they are not trying to magnify them. Experience is what helps the young grow up, but I do not recall a phrase that said becoming an adult was easy. If it was, everyone would do it, and we know this is unfortunately rarely the case. Another reason Wanda is struggling has to do with the fact that she is under mental pressure/assault from several directions: Ross, the media, and the Accords are all hammering home the blame factor. In the comics and cartoons, Thunderbolt Ross’ Red Hulk persona had a certain charm. But as his human self, Ross has never been anything short of a raucous bully. Wanda may sense this about him initially in the film, but what can she do? She lacks what the academy of nihilism likes to call “authority issues.” She trusts all of the authority figures – Steve, Sam, Rhodey, Tony, Clint, and Natasha – in her life. (Vision is smart, but he is a one year old. He has even more to learn than she does.) How can she tell Ross to buzz off? In this one respect, the former General has learned something of value (to him): politicians need only speak to enforce their will on others, rather than scream their throats raw, the way he once did. As for the media, that is the same problem, but magnified in the hundreds, if not thousands. Many television reporters seem to be under the impression that being a reporter is akin to being ordained by God, the government, or some other entity with above-human powers of insight and understanding. This is the way they treat Wanda in the film. They and the talking heads ask what “right” has she to do what she has done. They do not care that Wanda was under a lot of strain in that moment and was not focusing on much except keeping the fireworks display contained for as long as possible. They do not care about this because they are the wise ones; they are the ones who understand all higher things and the proper uses of every thing to frame every event. They would never have been there in the first place. That would be the only thing they got right; they do not possess the courage to enter a combat situation as a participant. They would rather watch the situation from afar, after the fact, and carp about the results. How many of these hacks have telekinesis? How many of them have been in a combat situation? How many of them have had to telekinetically restrain a violent chemical combustion in a crowd of innocent people and, finding the bang is not getting any smaller, thrown it skyward while trying to maintain control of it? None of them have done that. What is more, none of them would or will ever do that. They think they understand when they have no idea what it takes to have and use such powers in combat for five minutes, let alone for one’s whole life. But that does not prevent them from pontificating about how such power should be used or maintained. That does not prevent them from making Wanda out to be a bloodthirsty monster. It does not stop them from saying a twenty-odd year old girl, who saw her mistake kill twenty-six people, should be locked up in a prison somewhere as though she was Hannibal Lecter’s niece. These jackals, who have not got enough courage as a group to fill a teaspoon, are picking on a girl with more guts than many people twice her age. The third barrier Wanda has to clear is the Accords. Ross’ handing the U.N. booklet specifically to her in the Compound is in fact a tactically brilliant move. Not only are the Accords named after her home nation, which she saw destroyed, but she holds herself responsible for the deaths in Lagos. Giving the Accords to her first, Ross probably thinks he has an easy win with Wanda. She is so distressed and confused that she will doubtless be the first to sign up. Except that Ross, like Zemo, has placed his bets without considering Cap. In this case, he does not know how much influence Steve has over the Avengers. 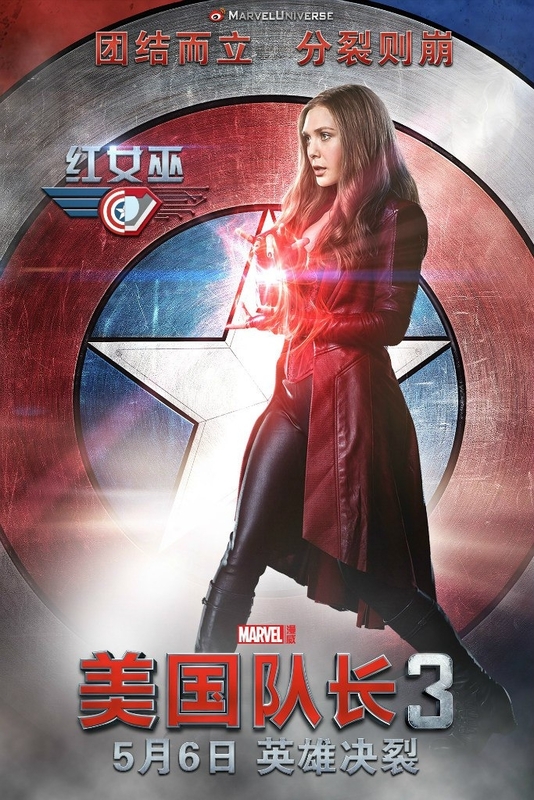 Cap put his trust in the twins (Wanda and Pietro) in South Korea during Age of Ultron. He trusted that they were really interested in saving lives and doing the right thing; that they were actually willing to let go of their desire for revenge and that they would not let him down. It is also very probable that he is the one who offered Wanda a place on his team. Steve has been watching her back, guiding and teaching her, since she joined the Avengers. Of all the voices raised in the debate over the Accords, his is the one Wanda harkens to first and foremost. Also, Ross has forgotten that Wanda has been taken in by bright speeches and flowery words before. Baron Strucker called for volunteers to be tested for a human enhancement process in Sokovia, and Pietro and Wanda answered the advertisement. Taking the easy path out with Strucker went soooo well last time, didn’t it? Once bitten, twice shy. Wanda was fooled once. She will not be taken advantage of again so easily. So Wanda Maximoff, Ross’ oh-so-easy-mark, proves she has more mettle than he guessed. She pushes the Accords away – literally. She does not declare she will never sign them, but neither does she sign on the dotted line as fast as she can. If Steve did so, then Wanda would be inclined to follow him. But he is wary and will not sign, at least not until there are safeguards put in place. And so Wanda follows his lead…. ….discovering soon afterward that Steve’s arguments have some very real-life concerns for her. With Cap and Sam abroad to attend Peggy Carter’s funeral, Natasha going to the signing of the Accords, and Rhodey and Tony off somewhere else, Wanda and Vision are left to “mind the house.” Or so she thinks. Later on, Vision admits she is essentially under house arrest until the puppet masters behind the Accords are sure she will not cause them any trouble. It is at this point that she realizes Cap’s fears are well founded. Up until this moment, Wanda was free to go wherever she wanted whenever she wanted. While it is likely she had company on these prior outings, she has probably been out on her own just as often. And she lived with only Pietro for company from the age of ten. She is naïve and inexperienced in many things, but walking around town alone is not one of them. Now, though, she is being “locked in her room” by Tony Stark at the behest of Ross and the faceless, “silent, deadly men” who give him his orders. Why? Why is she being interned in her own home? Lagos was a combat situation. She did not perform perfectly in that arena, but how can one equate the accident in Nigeria with running to the store to grab some paprika? The answer is that the two cannot be equated. They are mutually exclusive events. Contrary to all the yelling on the TV, most people would probably be quite happy to either wave at Wanda or to avoid her out of fear, and that would only happen if they recognized her. It would be an idiot – or a pack of idiots – who would challenge someone with Wanda’s abilities just to show their machismo. All they would be proving was their stupidity and cowardice. This idea that she is dangerous, however, starts to seep into Wanda’s mind after Vision’s admission. Maybe she is too dangerous to be allowed out. Maybe she is, in fact, a monster. Into this whirling maelstrom of self-doubt strides Clint a few nights afterward. As I said before, Wanda is not inclined to laugh off the fact that she almost stabbed Hawkeye in the forehead. While she trusts Steve as a father-type guardian, this is even truer of her relationship with Clint. Cap was the first one to believe Wanda and her brother could change. Clint, though, was the first to give her direct guidance when she needed it most. Steve understood her decision to protect her country and save lives. Clint understood her when she was having an emotional meltdown. Their bond is stronger in this area because Clint is, actually, a father. Steve can “walk with Kings – nor lose the common touch,” but this is one area where Hawkeye has more experience on him. He has handled more childhood crises than any of the other Avengers for the simple reason that it comes with the territory of being a dad. Plus, Clint is practically always self-assured. Without that self-belief, he would never get anywhere. And if she loses her own self-belief, Wanda will not get anywhere, either. Cap calls Clint to pick up Wanda for the apparent reason that he cannot just go and get her himself. But he might have had another motive for calling Clint. Even if he was not told about their “chat” in Sokovia, Cap still has to sense the fact that the two have a strong rapport. If anyone can get Wanda out of her funk, it is Hawkeye. Though his delivery in this film is markedly different from both the comics and the cartoons, the point Clint makes is no less finely nailed home: either Wanda gets up and helps, or she stays home. Those are the only two options anyone in the Avengers’ line of work has. Do your job, or step aside and let everyone else do theirs. Wanda does, most certainly, want to make amends for her mistake in Lagos. Wanda also does not want to get left out. And she does want to help Steve – not for the simple reasons that he is her mentor or because he took her in when she had nowhere else to go. She wants to help him because he is her friend. She also wants out of the Compound. As she told Vision, she cannot control the fear(s) of others. But she can control her own fear. If she lets her apprehension rule her, she will become the monster others believe she is. She will fall to the Dark Side. So it is past time to put her fear aside and get on with her life. During the battle, Wanda is almost literally everywhere at once. She saves Bucky from Panther’s claws, reminds Clint that this is not a training session by tossing Natasha away, and drops about ten or more cars on top of Iron Man in quick succession. This emphasizes the point that she is not going to get locked up again. Not without a fight. 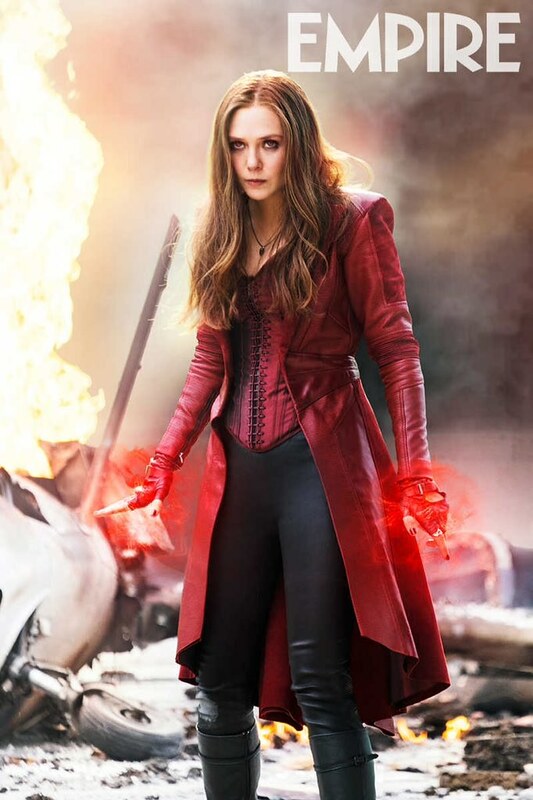 If people want to be afraid of her, then Wanda Maximoff is going to give them something to fear! If she is so desperate not to get caught, you may ask, why does she throw herself to the wolves along with Clint, Scott, and Sam? She could have bolted. She was the most powerful of the four remaining members of Team Cap. Even stunned by War Machine’s sonic weapon, she could still have made tracks and at least gotten into the city, especially after Vision left her to check on Rhodey. The clear answer is that she is a loyal Avenger. Wanda understands the meaning of honor. She understands that when you give someone your word, when you make a promise to someone, breaking that bond of you own volition is to forever forsake faith with them to some degree. To quit when the going gets tough is to become a coward. And while all the heroes in Marvel’s stories have flaws, NONE of them are cowards. The loyalty aspect aside, Wanda knows as well as the others do that Steve will come back for them. 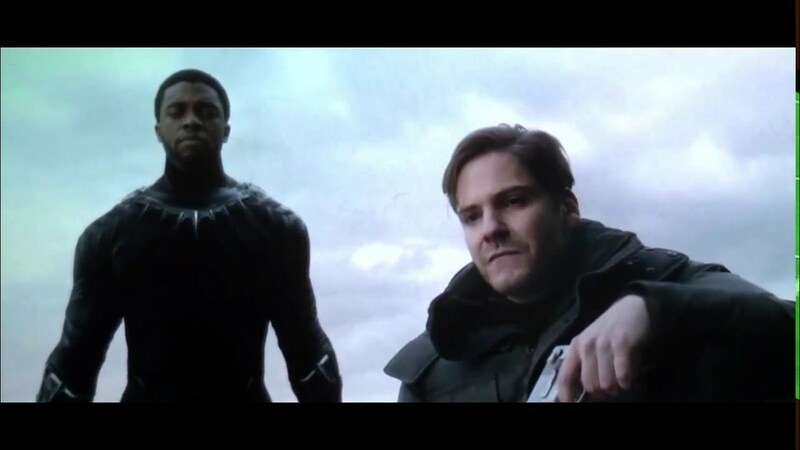 The main mission is to stop Zemo and save as many lives as they can. If the price of saving lives is incarceration, then that is the price she and the others have to pay to see the job done. And pay they do. Wanda, however, is subject to higher scrutiny than the men are. Their powers are all derived from their gear, skills, and technology. Her power comes from inside of her. There is no way to take it from her; it can only be suppressed. The way the Raft guards choose to do this by locking her in a cell, throwing an inhibitor collar on her, and wrapping her in a straight jacket. 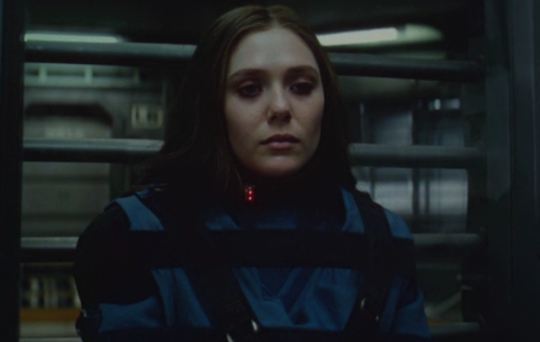 Although she knew Steve would come for her and the others, had to know that Clint and probably Sam are very worried about her, Wanda looked pretty miserable in her cell. Of course, it would be hard not to be despondent, since she is locked up in solitary. It also appeared that Ross and his cronies were not inclined to keep the room at a comfortable temperature. But maybe Wanda was shivering with fright and depression rather than cold. If all the Avengers had signed the Accords immediately, this might have happened to her at the beginning. I doubt that Tony came up with that “Walking Weapon of Mass Destruction” quip by himself. It sounds like something which would have come out of Ross’ mouth. Witty as Tony is, he was quoting someone else when he said that. Remember when I said Ross wanted control of the best weapons he could find? The government took lots of blood samples from Cap in the hopes that they could make more Super Soldiers in the future. This is likely where Howard Stark acquired the five packs of the viable Super Soldier Serum which Bucky stole in ‘91; the scientists had at last managed to synthesize a working serum from Steve’s blood. In the 1940s, the government and its scientists were at least willing to ask for his blood before taking it. But would Ross and his masters in/behind the U.N. have asked Wanda for permission to “make more” powered people like her by asking her to take some tests so they could see what makes her “tick”? I highly doubt it. If the whole team had signed the Accords at the start, then they would have also signed Wanda’s one way ticket to a cell where she could be studied as a lab rat. Ross and his handlers – whoever they are, and whether he knows they are “handling” him or not – want more people like her. They want more enhanced humans and they want to be their puppet masters. I imagine there were some tears shed when Steve and the others picked up Wanda. In her position, tears would be totally understandable, a sign of pent up stress and/or relief. The guys are not going to let her out of their sight any time soon, this is for sure! If the writers decide to hold Wanda on the back burner until Infinity War, we will not be seeing her any time soon. Should that be the case, then it is safe to assume, for the nonce, that Wanda will be staying with Team Cap and doing some Secret Avenging until that time. One thing is for certain: Wanda’s powers are only going to grow. This means she will be a formidable opponent when she next appears on the silver screen. This entry was posted in Marvel Comics' Characters and Stories, Movie Reviews and tagged #TeamCap, #TeamIron, Ant-Man/Scott Lang, Anthony Mackie, Avengers, Avengers: Age of Ultron, Baron Helmut Zemo, Baron Zemo, Black Panther/King T'Challa, Black Widow, Black Widow/Natasha Romanoff, Captain America, Captain America/Steve Rogers, Captain America: Civil War, Chadwick Boseman, Chris Evans, Disney movies, Don Cheadle, Elizabeth Olsen, Falcon/Sam Wilson, General Thaddeus Thunderbolt Ross, Hawkeye, Hawkeye's family, Hawkeye/Clint Barton, Inhumans, Iron Man/Tony Stark, James "Bucky" Barnes/Winter Soldier, Jeremy Renner, journalists, Marvel, Marvel Cinematic Universe, Marvel Comics, Marvel Comics' Characters and Stories, Marvel fans, Marvel films, Marvel movies, Marvel's The Avengers, media, Movie Reviews, news, Paul Bettany, Paul Rudd, Peter Parker/Spider-Man, reporters, Robert Downey Jr., Sam WIlson, Scarlet Witch, Scarlet Witch/Wanda Maximoff, Scarlett Johansson, Spider-Man, superheroes, superpowers, The Scarlet Witch, The Winter Soldier/Bucky Barnes, Tony Stark, Vision, War Machine/ James "Rhodey" Rhodes, Winter Soldier/Bucky Barnes on August 19, 2016 by The Mithril Guardian. 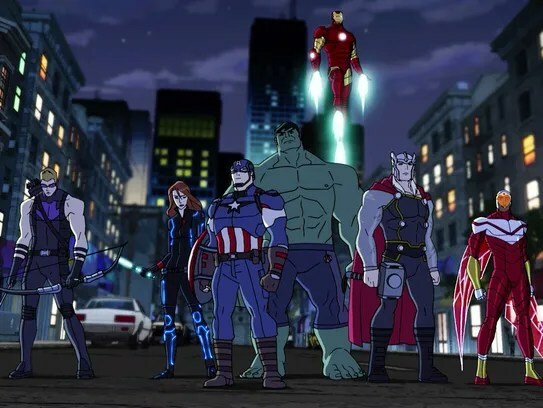 Avengers Assemble’s Third Season – How is it so far? 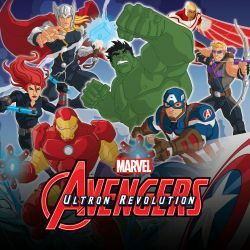 Avengers: Ultron Revolution is in full swing now, readers! What do I think of it so far? It is a definite improvement, in several respects, over the previous seasons. For one, the animation has gotten better. It is a subtle detail, and not one I usually notice. But reviewing some footage from seasons one and two, I realized season three’s animation is smoother and more streamlined. Certainly a plus! On the subject of pluses, Hawkeye has done better over the first few episodes than he has in the prior two seasons. He is behaving in a less immature manner – although the writers have naturally maintained his penchant for overconfidence – and this has me really excited. Not only that, but Clint’s gotten some serious scenes as well, especially in the episodes Under Siege, Thunderbolts, and Thunderbolts Revealed. Fingers crossed that he only gets more like himself as the series plays on! Black Widow has also improved. Firing off colorful quips and smiling more genuinely now, she has made a welcome change from her stoic, faux-Amazonian portrayal in previous seasons. More to the point, she and Hawkeye have yet to bicker petulantly as they did in the last two seasons of the series. Her strong friendship with Cap is also given the spotlight in Saving Captain Rogers, the third episode of the season. Let’s hope the writers keep this depiction up in future episodes, leaving the stereotype in the dustbin! Hulk has done nicely so far this season, too. And we have had two episodes of Ultron Revolution give us a look at the new and improved Dr. Bruce Banner! We have not seen him in any real capacity since Avengers: Earth’s Mightiest Heroes! and two episodes of Assemble’s previous seasons. Those appearances were brief and left us wondering why we did not see more of him. Hulk is also showing a better balance between “rage-filled” smashing and “thoughtful” smashing. His character arc this time is shaping up to be very interesting. Falcon’s in college as of Ultimates, and so far we have not gotten to see as much of him as I would like. However, he has proved himself to be even more capable now than he was in season two. It is clear the experiences he has had throughout the series have helped him to grow, and with him studying to be an engineer, Sam can only get harder to beat as the Ultron Revolution proceeds! Thor has become more familiar with Earth by this time, too, though he is not fitting in exactly. But watching him go trick-or-treating with a couple of his young fans was priceless! It also shows his softer side, and I like it when the heroes get to be kind to kids. It strengthens their character – and Thor’s moral fiber got a real boost at the end of Into the Dark Dimension! As of this moment, Tony’s character is balancing on the thin line between “improved” and “about to crash.” This is natural, since there is a Civil War story arc in the series’ future, and the writers want to set up the basis for that conflict as early as possible. Tony feels responsible in the extreme for Ultron’s existence, proved in the first episodes of the new season: Adapting to Change and Ultimates. When he is fighting against the mechanical maniac, he is broody and has a propensity to act rashly, attacking with everything he has and making the safety of himself and his team a low priority. This was nicely reversed, for a moment, in Saving Captain Rogers. Hearing a scream of pain from further inside Baron Helmut Zemo’s castle, Tony says, “If that’s Cap, I’m going to glue my fist to Zemo’s face!” (It was not Cap, but the sentiment is what counts.) The line reminds us of their friendship in previous shows and the older comics. Call me a nostalgic, but I still prefer that friendship to the “frenemy” status the writers have thrust upon the two these days. For one thing, it makes the stories more hopeful. And in today’s world, hope is a commodity in short supply! Another great thing about this season was the introduction of the Thunderbolts, first in their criminal identities, later in their superhero “cloaks.” While I am still no fan of Moonstone/Meteorite and remain suspicious of Fixer/Techno, Atlas had a good introduction here. I have to say that I like this version of him better than his comic book counterpart. Mach IV, formerly the Beetle, also had an impressive showing in Ultron Revolution. It would be great to see more of him. But the character I was most excited to see come on stage was Screaming Mimi/Songbird. Of all the criminals-turned-Thunderbolts who became heroes in the comics, Songbird was the only one who completely turned over a new leaf. Mach IV tagged along after her, not hard to do considering they were in love by that point. Songbird has since become a staunch hero worthy of fans’ admiration, and to see her journey in Avengers: Ultron Revolution was FANTASTIC! What made it even better was the fact that Hawkeye was her inspiration and informal mentor in the episodes, with some help from Cap in Thunderbolts Revealed. In the comics, Hawkeye was the one who convinced the Thunderbolts to stop pretending heroism and to really take on the mantle. His leadership was a smashing success… at least as long as he was in charge of the team. Sometime after he left, Moonstone went back to her old ways, as did Fixer, though I think he continued to use the Techno alias. Songbird, however, was the biggest triumph of Hawkeye’s time as leader of the Thunderbolts. So watching her turn into a heroine over the course of Under Siege, Thunderbolts, and Thunderbolts Revealed on his prodding and due to Cap’s faith in her was GREAT!!!! It not only showed Clint’s more serious side, it proved his ability to teach and lead by example. Those are characteristics of his which others often ignore, though they make him a great instructor in the MC2 universe, as well as the Avengers Academy in the old “mainstream” universe. Speaking of the old “mainstream” universe, we cannot forget how Clint taught Kate Bishop in those comics. Even if she was supposed to be his female replacement somewhere down the line (Kate Bishop, Clint Barton – their names are too similar for this not to have been the writers’ intention), the fact that he decided to mentor her at all demonstrates that he cares. In some ways, Hawkeye is a little like Wolverine. He can be annoying and a jerk, overconfident and insulting… but underneath all that, he has a heart of gold. And if you can get past his prickly outer shell, he is a loyal ally, great friend, and willing teacher. The fact that Avengers: Ultron Revolution is FINALLY ready to show him as such is a welcome change for this fan! The only thing I really want the writers to do now is hand the reins of the Avengers over to Captain America. If they could also make him less stiff and allow him to relax, then I would be very happy. The series is doing well, but Cap playing second fiddle to Tony makes the show feel somewhat off balance. After all, Steve is team leader in the films, and he was the leader for the Avengers in the “mainstream” comics for YEARS. Seeing Tony run the Avengers while Cap stands aside feels like watching Batman run the Justice League as Superman sits by and takes orders from him. The JLA’s commander in chief is Superman, and Batman acts as his second, with Wonder Woman supporting the two of them. Putting Bats in charge of the League and having Superman as his “water boy” just feels off. The series is still young, of course, and there is time for it to grow. It already has developed a fair bit by this point. I am looking forward to seeing more heroes arrive as this season progresses, as well as the character growth in store for the seven Avengers who formed the team at the start of the series. Once Ultron Revolution is at an end, you may hear from me on this subject yet again, readers. Until that time…. This entry was posted in Marvel Comics' Characters and Stories, TV Shows and tagged Adrian Pasdar, Atlas, Avengers, Avengers Earths Mightiest Heroes, Avengers: Ultron Revolution, Baron Helmut Zemo, Baron Zemo, Black Widow/Natasha Romanoff, Bumper Robinson, Captain America/Steve Rogers, children's animated tv shows, Civil War, Disney TV Shows, Falcon/Sam Wilson, Hawkeye, Hawkeye/Clint Barton, Hulk/Bruce Banner, Iron Man/Tony Stark, Kate Bishop, Loki, Mach IV/Beetle, Marvel, Marvel Comics' Characters and Stories, marvel tv shows, Moonstone, Roger Craig Smith, Songbird/Screaming Mimi, superheroes, superpowers, supervillains, Techno/Fixer, The Hulk, Thor, Thor Odinson, Thunderbolts, Tony Stark, Troy Baker, TV series, TV Shows, ultron, Villains on May 15, 2016 by The Mithril Guardian.